THE FINAL CHAPTERS: WHERE ARE THE COWBOYS? I have been here in Fort Worth, Texas for over 4 months---I was beginning to wonder if there were no more cowboys. Living here in the Big City--there is little or no evidence of the wild west, horses, cows, and especially cowboys and cowgirls except for the occasional nod to a pair of cowboy boots. 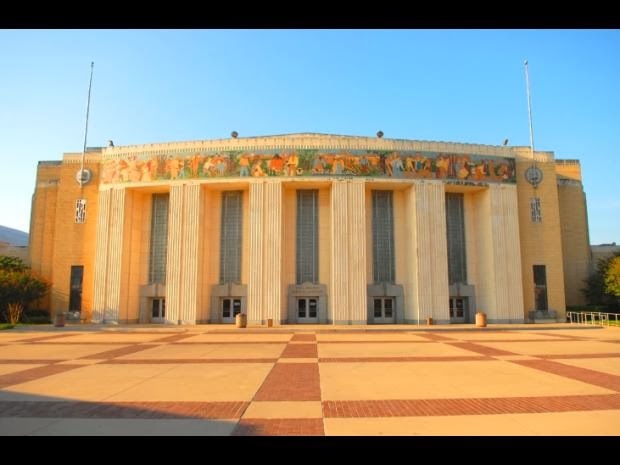 THEN we went to the Mustang Million Competition at the Will Rogers Coliseum not 2 miles from my house. 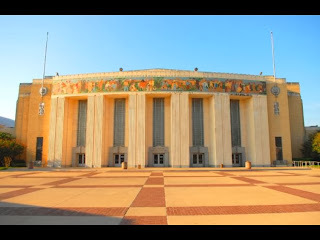 The coliseum is located on over 100 acres of prime middle of the city property and contains multiple buildings, barns, and facilities. Quite impressive. While attending the competition--I FOUND THE COWBOYS & COWGIRLS-- in that very building. I saw boots, hats, belts and jeans of every size and description. Here I was thinking the cowboy had wandered off into the sunset---and 6000 of them showed up --complete with all the trappings! We City Dwellers were the ones that stuck out in this crowd--no boots, no hat, no big silver belt buckle-no western shirts---not even a nod at western jeans. We dared to enter "Their Territory" and still be true to whom we were. This led me to thinking about being a Believer in the midst of "The World". Am I true to whom I am---do I wear the armor of God for all to see? Do I dare to be different and speak the truth of whom I am and Who God is in my life? Do I dare to stick out and be different? If God is prompting you to share this or any post, please do so.